The story follows a dog named Buck, a 140lb Saint Bernard and Scotch Shepard mix. 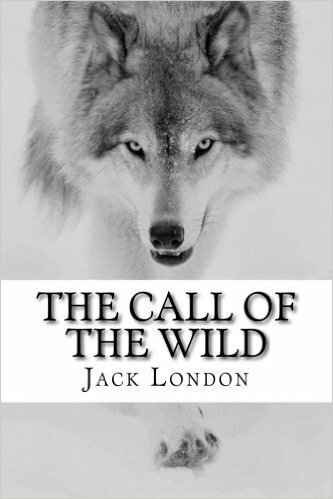 Buck is abducted from a comfortable life as a pet and tossed into the chaos of the Klondike Gold Rush and the brutal realities of frontier life. Buck changes hands a number of times before landing in the kindly hands of John Thornton. Thornton takes ownership of Buck from a trio of ignorant stampeders, intent upon making a dangerous river crossing. Buck refuses to cross, despite a vicious beating. Thornton recognizes the dogs intelligence and strength. He steps in to claim the dog and nurses Buck back to health. But Buck is forever changed by the treatment he has received at the hands of other men. The Sea-Wolf is Jack London’s powerful and gripping saga of Humphrey Van Weyden, captured by a seal-hunting ship and now an unwilling sailor under its dreaded captain, Wolf Larsen. The men who sailed with Larsen were treacherous outcasts, but the captain himself was the legendary Sea-Wolf—a violent brute of a man. Seahorse Classics brings great works of literature to life in digital format, upholding the highest standards in e-book production and celebrating reading in all its forms. Look for more titles in the Seahorse Classics collection to build your digital library.